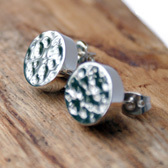 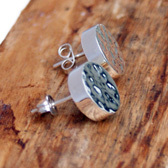 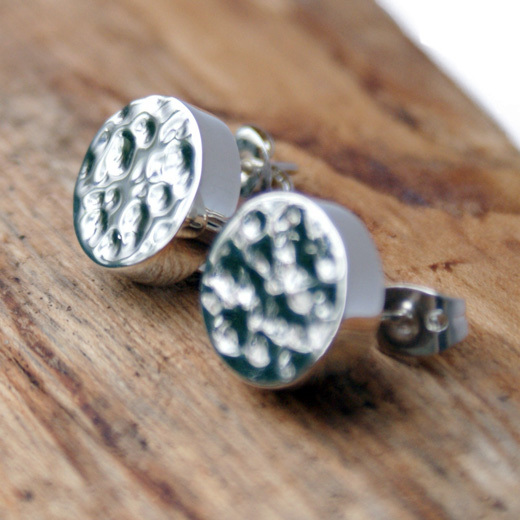 A beautiful pair of sterling silver disc stud earrings from Pura Mexico with a hammered finish that glimmers in the light. These round disc earrings are made entirely from 925 sterling silver and asten with a post and butterfly back making them suitable for pierced ears. 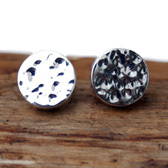 They will add a sparkle to any outfit.